My eldest child starts school today (and I've written this the night before so I'm not sure if I'm going to be an emotional wreck or not!). 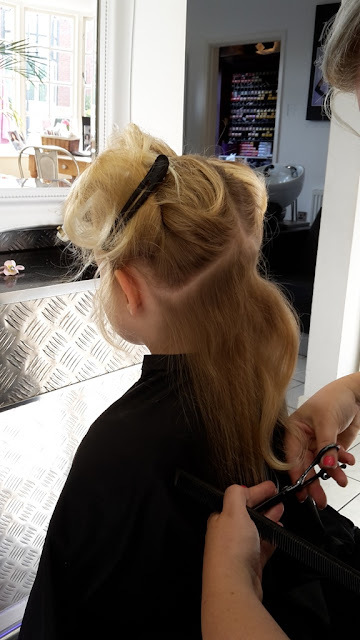 Yesterday I took her for her first ever haircut to get her ready. Her sister was at playschool so it was just her, the boy and me. 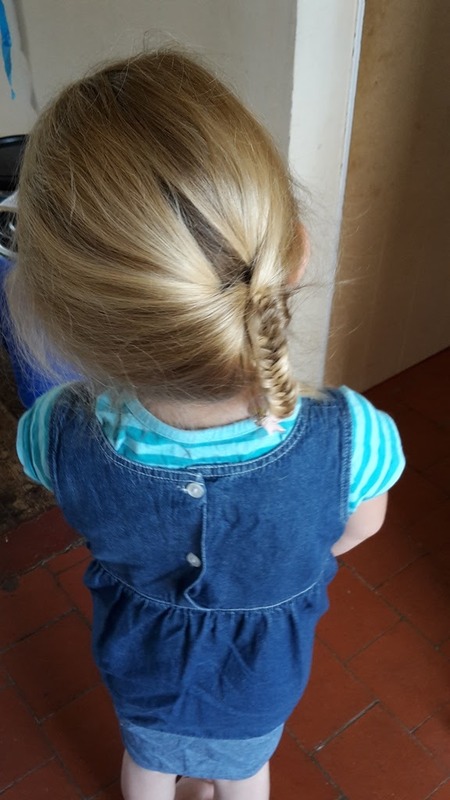 She was really excited about going to the hairdressers as it's a "big girl" thing to do. 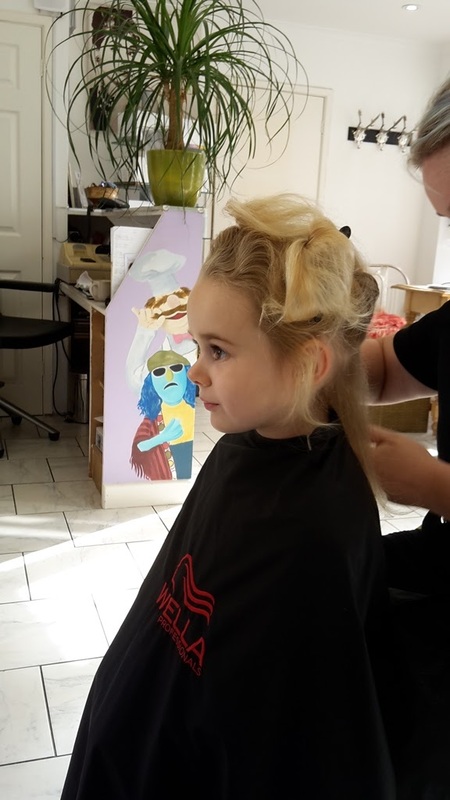 We used the hairdressers in the village which is really friendly and a great laugh, I had mine done afterwards and my daughter just beamed at me the whole time I sat there. Unfortunately I have also found out that I'm at the age where she needs to trim my eyebrows (I'm only 33 for pity's sake!). So proud of her new hair do! From there we popped up to the village shop and bought some milk and new poatoes before going to see Rick the butcher and buying some sausages for tea (my daughters favourite). Whilst going about the village I bumped into two of my customers and had a chat with them as well. It's good to know not a single penny of our shopping trip will be going to a shareholder or company executive, all of it staying a couple of miles from home, and it's good to see my customers doing exactly the same! Stand by for the obligatory photo of my daughter in her school uniform tomorrow! Has to be done I'm afraid! Good luck this morning, she will suddenly look so grown up. Oh, I remember back to when my son started school (he's your age!) and how emotional it was when that small boy climbed into that great big bus and was "whisked away". Bless her. Keep on top of those eyebrows Kev, can't abide seeing giant caterpillars that an awful lot of men, seem to have, residing above their eyes. Being proud grandparents we always look forward to this first day photos. She looks lovely. I hated school and I'm rather proud of the happy face I slapped on for the first day of my child's education and all the days after. Awww! What a great day! Best of luck to her (and you) tomorrow! Your daughters hair do looks lovely, and I agree entirely about keeping the spending local, it's something I really should make more of an effort to do next year, when I'm back to spending properly.